Heya folks! 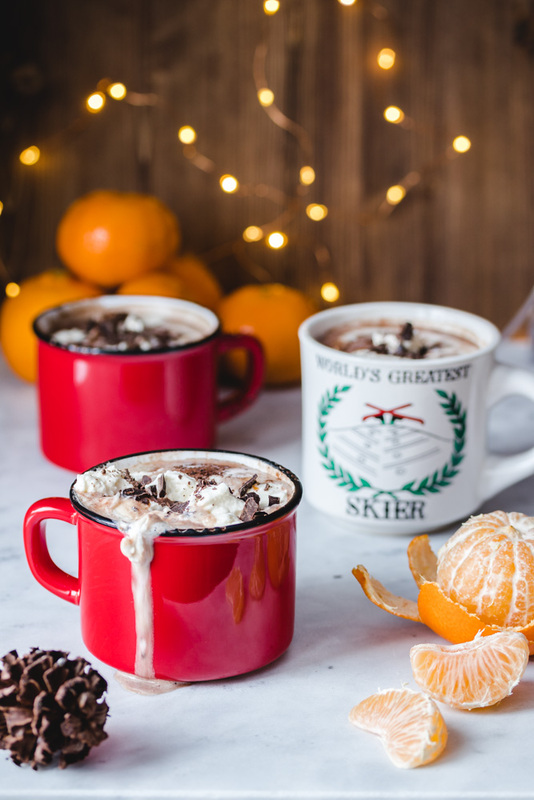 It’s December, which means we can indulge in crazy decadent holiday drinks, like this Clementine Hot Chocolate!! This weekend was the Santa Claus parade, and although both Nicole and I would have loved to partake in the holiday spectacle, we were both working. And while we didn’t get to enjoy a steaming cup of hot cocoa in the fresh December air, we were able to drink our own when we got home! And this hot chocolate is so much better than the instant stuff with those hard little marshmallows they hand out at the parade…so if you’ve spent some time outdoors today and want to warm up, why not whip up a batch? This stuff is like Christmas in a cup. 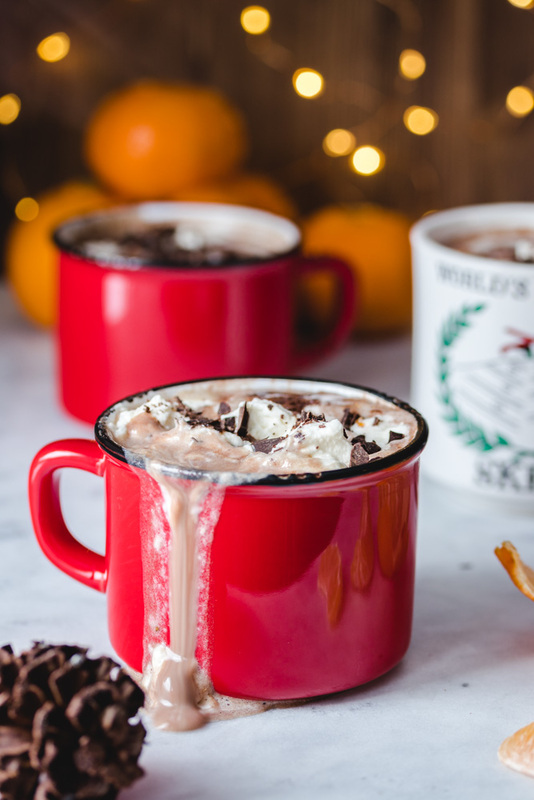 It’s got an intensely rich cocoa AND melted chocolate base, which is infused with clementine flavour, and finished with a big dollop of clementine whipped cream. YUM. Clementines always remind us of the holiday season – in fact, we used to get them in our stockings! Did anyone else get fruit in their stockings? I kind of love it, and hope others will keep this tradition alive! So, instead of a traditional chocolate orange pairing, we went with clementines! We do also recommend a good quality dark chocolate for this recipe. It makes a difference. And if an ounce or two of whiskey somehow made it’s way into your cup? All the better 😊 Cheers! A decadent holiday treat, perfect for cold December nights. In a medium saucepan, bring water to boil and whisk in the cocoa and salt. Add the milk and the peel of 2 clementines in large strips, and slowly heat until milk is scalded but not boiling. Add the chocolate and 1/2 cup of cream and whisk vigorously to dissolve. Add honey by the tablespoon, whisking after each addition, until sweet enough for your own taste. Meanwhile, in a small bowl or measuring cup, beat the other 1/2 cup of whipping cream. When soft peaks are formed, add the zest and juice of the remaining clementine and whip to combine. Just before serving, remove the strips of peel from the hot chocolate. Serve with a generous dollop of whipped cream and grated chocolate.